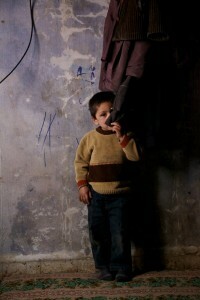 A Syrian refugee, accompanied by his son, watches a news broadcast from Aleppo. While visiting the family in their home outside of Beirut, Lebanon, they inform me that they watch the news every day in order to see and hear what is happening in their home city. Most importantly, the news channel has a ticker at the bottom of the screen with lists of names. 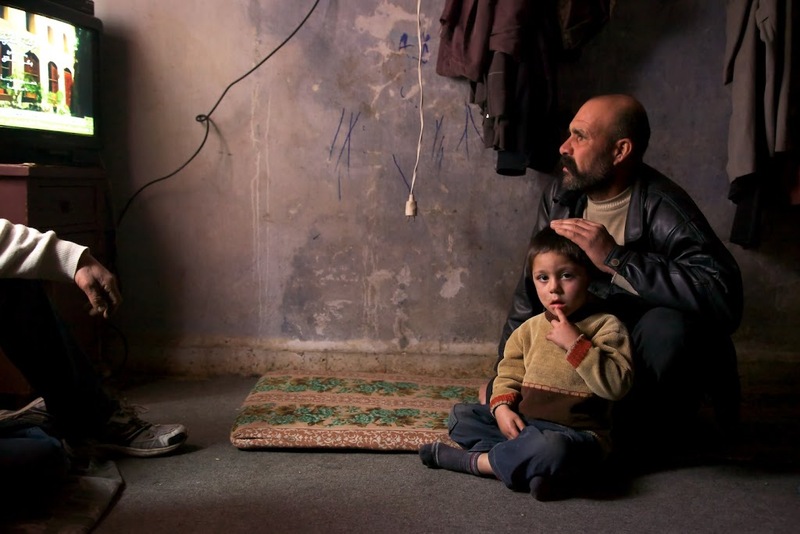 This man attentively reads the ticker in order to find out whether his brother, who remained back in Aleppo, has been either kidnapped or killed.